The online trade is growing rapidly. 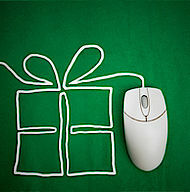 Throughout the world, goods to the value of $ 572.5 billion are sold via the internet. The eco-fashion market is also profiting from this. The online market has many facets. The concepts are very varied. There is one thing, however, that most of the business models have in common: they are growing. And they are growing fast. This is also true of the online eco-fashion trade. Whereas the number of stationary shops is steadily increasing, albeit comparatively slowly, online shops for eco-fashion are sprouting like mushrooms. Eco-mmerce – a report by Jana Kern on interesting concepts, the development of the market as a whole and the most important players. 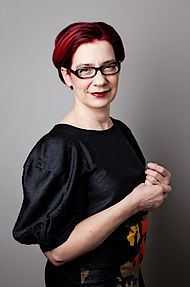 Ethical Fashion Show Berlin and GREENshowroom: a new centre for international, green fashion. The Ethical Fashion Show has acquired a presence of its own in Berlin. 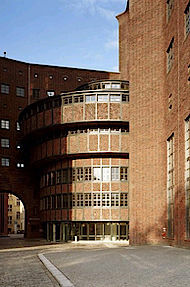 During Berlin Fashion Week (18 to 20 January 2012) it will be held for the first time at the ewerk in Berlin-Mitte. Along with the GREENshowroom, it is positioning itself as a fair for sustainably produced street fashion and casual wear. Together, the two Messe Frankfurt events cover the entire spectrum – from mid-market to high-end fashion – and in this way are setting their sights on becoming a new international centre for green fashion. The Esmod fashion school in Paris and the Messe Frankfurt trade fair company are cooperating on the development of a program me for promoting sustainable fashion. 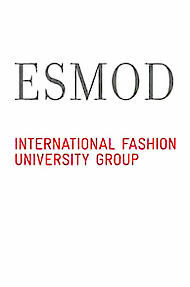 The Esmod fashion school in Paris and Messe Frankfurt, the international trade fair company, have agreed on common aims for promoting sustainability in the fashion business. A number of initiatives are planned: sustainability and eco-fashion are to become an integral part of the Esmod curricula, an eco-design competition has been launched and the trade fair organizer and the school will create the ‘Esmod / Ethical Fashion Show’. The market for sustainable textiles is growing – and it is also growing at Heimtextil, the international trade fair for home and contract textiles in Frankfurt. 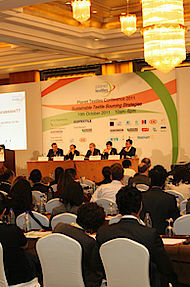 Intex, the industrial association for textile services (Industrieverband Textil Service – intex e.V.) is shouldering its responsibilities by adopting textile-service principles and joining the UN Global Compact. A milestone in the textile services industry: the intex industrial association has decided to adopt the principles of textile service. 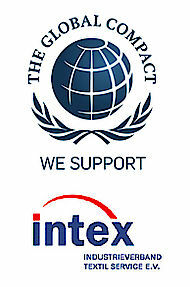 These principles commit intex to acknowledging responsibility for customers, employees, the environment and society. Together with its members, intex has developed a code of conduct designed to make it easier for companies to commit themselves to observing the principles of sustainable corporate governance. The association will publish its first sustainability report this year. Around 200 delegates discussed traceability, transparency and toxicology in the textile supply chain during the second Planet Textile conference alongside Intertextile Shanghai Apparel. The Greenpeace Detox report proved to be a major talking point at the Planet Textiles event on sustainable sourcing in Shanghai as a leading Chinese textile industry figure predicted major change in the way China’s textile sector will approach environmental issues. John Mowbray, Ecotextile News, reports. Bundled specialist information on the topic of sustainability on Sustainability Day and in the Eco Lounge during Texworld in Paris. 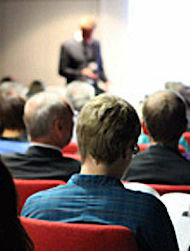 The lectures are now online and available to download. GOTS, WRAP, RITE Group and Soil Association – the four leading associations and initiatives in the field of sustainable procurement - were the organizers of Sustainability Day and the Eco Lounge at Texworld in Paris. The lectures on topics from the fields of ecology, social standards and transparency in the textile value creation chain are now available online to download. Sustainable textile production and fashion in Japan – status quo and current developments. Cotton as an attractive alternative in tsunami regions. Leading textile manufacturers promoting the cultivation of organic cotton. New technologies and methods for natural dyeing processes and recycling. And five categories of Green Fashion in Japan. Journalist Pamela Ravasio provides an overview of the status quo and current developments in the Japanese Eco Fashion market. As a moral, business or social system, Corporate Social Responsibility does not work, or at least not in its traditional form. 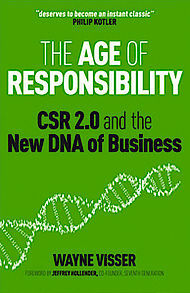 This is the view taken by Wayne Visser, author of the book “The Age of Responsibility: CSR 2.0 and the New DNA of Business”. In a total of 408 pages, Wayne takes the concept of sustainability apart and puts it back together in a new way.